Having rats invading your garbage cans is never a pleasant thing. To rats, garbage is a rich source of good quality food. The smell coming from a garbage can, if nothing is done in timely manner, will most likely attract rats. To avoid rats invading your garbage you will need to address two important issues. The first would be the smell of garbage that is attracting the rats. Make sure to empty the trash on a regular basis. The longer the garbage stays in one place, the stronger it will smell. Don’t allow full cans of garbage to pile up in your front or back yard. Empty them regularly. The second important thing would be to properly close your trash cans, in a way that rats can’t penetrate inside of them. Since rats are made to dig tunnels, and skillful to chew through even walls, you will need to make sure you got an indeed sturdy trash can. The material should be sturdy and not allow the rat to chew through it. The lid of the trash can should be secured from opening, which should prevent many other pest species invading your garbage also. Last, but not the least, proper fencing of your yard should prevent rats from invading it in the first place. Your fences should not have any holes or gaps, and should be made out of sturdy material, so that it wouldn’t be available for rats to chew through them. Depending on the environment you are living in, you may have to consider placing some traps in your yard and/or near your trash. Rats are best and most mercifully removed with death traps. By placing them strategically all over your yard and near your garbage, you can consider to have protected them from this rodent. Applying rat poison on the surfaces of the yard and near the garbage is also an option, but an option you should avoid whenever possible. Poison has proven to be ineffective in removing a large number of rats. This poison is also unsafe to use near children and other animals. Not to mention damage to the environment. 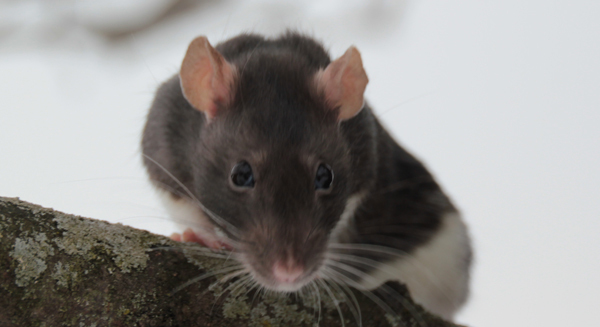 Rats pose a big safety and sanitary threat, if the invasion is not handled in time. For this reason, make sure not to allow rats not to invade your property in the first place. Maintaining proper hygiene of your estate is number one thing to do, in order to protect yourself from rats. The second most important thing is to use good quality cans and dumpsters, and provide good quality materials for your fences. Proper fencing, which leaves no holes or gaps, should prevent rats from entering your yard. As some households are more exposed to risk of being attacked by rats than other, applying traps near your garbage and in your yard should provide you with additional protection. Go back to the How to get rid of rats home page. If you need rats help, click my Nationwide list of rats removal experts for a pro near you.